Basking under an ever-smiling sun, gazing at a stupendous azure sea and a Saracen tower, a doughty memory of dangerous times past, lies Montalbano’s house, selected by director Alberto Sironi and the Palomar production company for the TV series Inspector Montalbano. Radiant dawns and golden sunsets bookend long, tranquil days in a place that time forgot. Here, far from stressful modern city life, you can catch your breath again, as the gentle sea waves conjure an altogether softer rhythm. We are further south than Tunis, in a corner of Italy where the blood of 13 invading peoples flows in the locals’ veins, a place where Baroque architecture and history complement a still-pristine natural environment with free public beaches and a permanently sun-kissed sea. 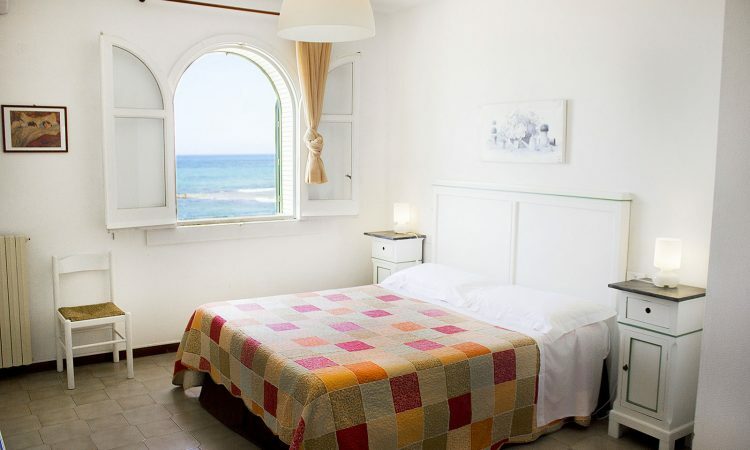 This is Sicily – Punta Secca in the province of Ragusa, to be precise – and this marvellous setting is where Inspector Montalbano lives, sleeps and dines. Even if you don’t yet know Punta Secca, you’ll have no trouble in finding the house: once you reach the village, carry straight on for about 100 m and stop in front of a 14th-century Saracen tower – the bay’s alluring powder-fine sands stretch out on your right, and the house is there, looking on to it all. 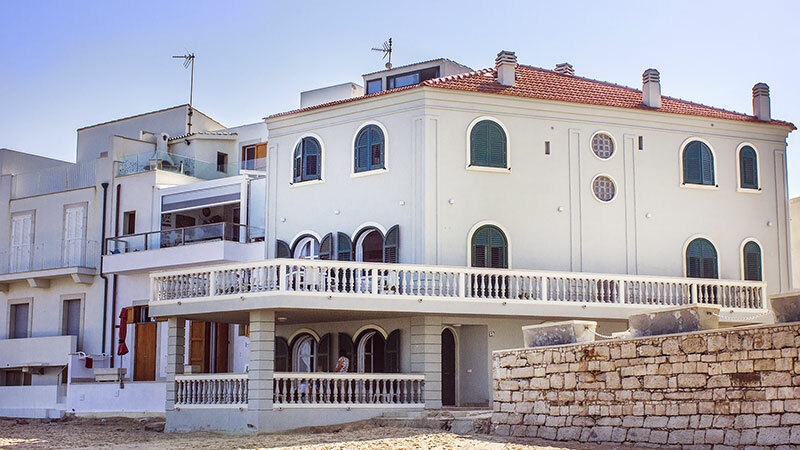 Originally a warehouse for salting sardines, the house was bought in 1904 from the Italian state. It is now a 3-storey property spanning 110 square metres (1180 square feet) on each floor. 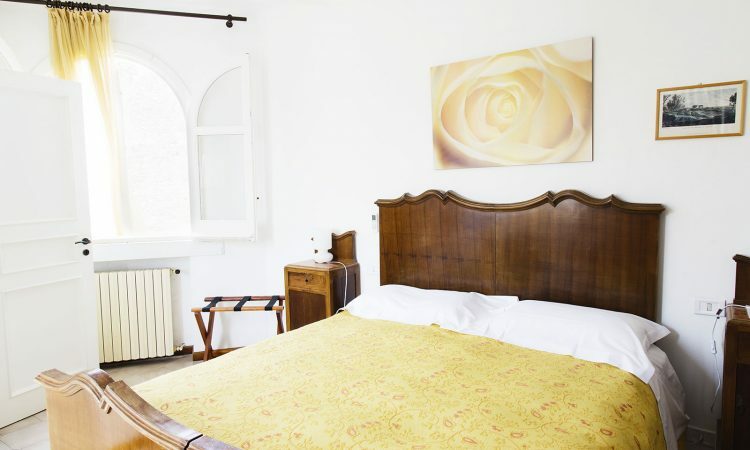 The top two are given over to B&B accommodation, while the ground floor is reserved for the owners, who live here from June to October. 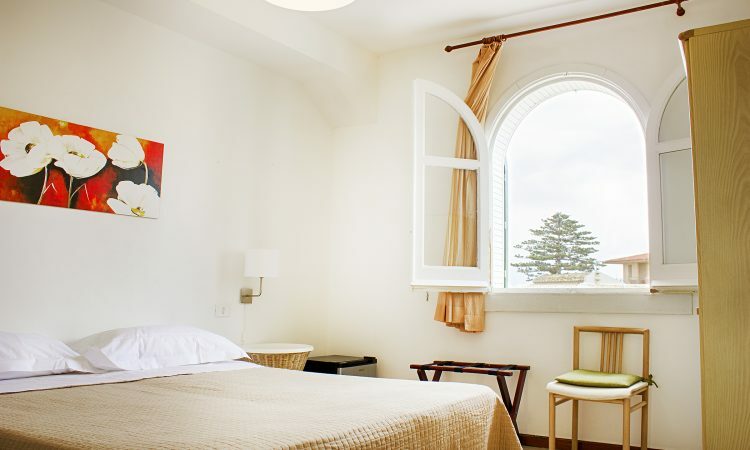 Guest facilities include 3 seaview double bedrooms and 1 not seaview double/twin bedroom, all with ensuite private bathroom, colour TV, minibar/fridge and air conditioning/heating. 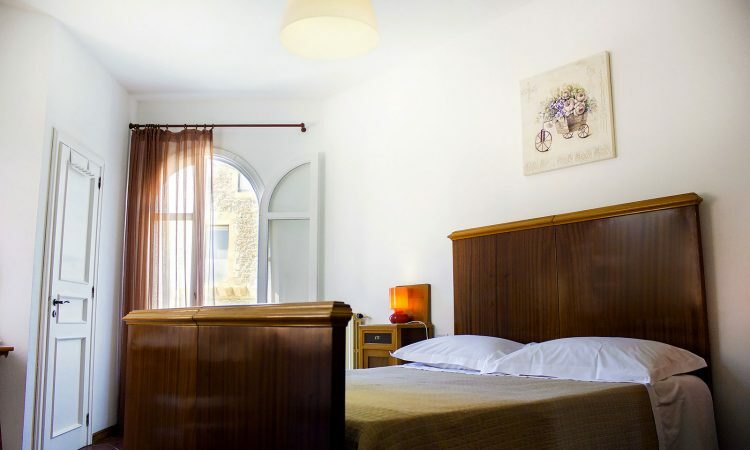 The 4 larger double rooms are simply but comfortably furnished, with some stylish 20th-century pieces belonging to the family; the smaller room has a modern feel to it. 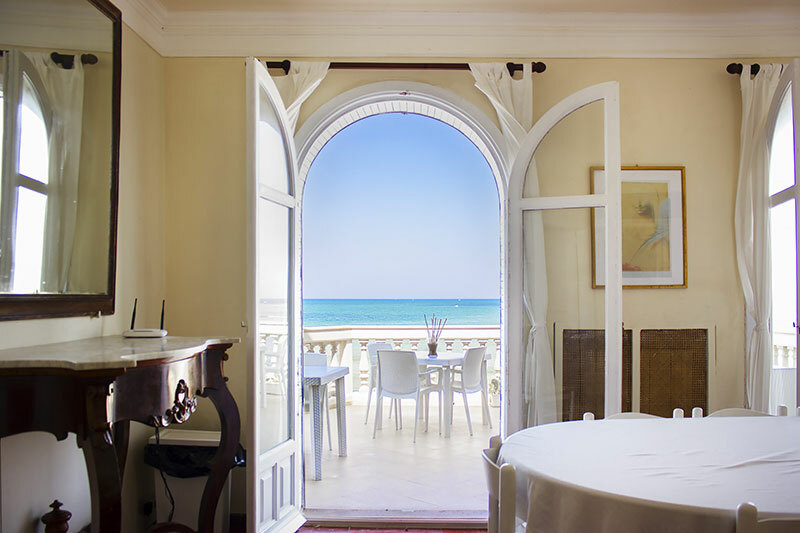 The terrace, one of the house’s most attractive features, looks right on to the sublime sandy beach – a view Montalbano fans will be very familiar with – it almost feels like you are on a boat floating on the water. It is a perfect spot for unhurriedly savouring the sunset with a long glass of wine, admiring the subtly different colours and forms painted afresh every night by a mysterious unseen hand. Imagine breakfast here, with a crisp, warm croissant and an intense coffee that never seems long enough, as your eyes wander over the sea. Sicilian jams, croissants, fresh milk, fruit juices, yoghurt, toast, local bread and pancarré, local cheese, fresh fruit and little chocolate treats from Modica will leave lingering memories of a warm and welcoming Sicily. As devotees of the Montalbano books well know, author Camilleri often used made-up names for his settings, although virtually all the film locations are in south-eastern Sicily. When he plays the Inspector, Luca Zingaretti’s territory is mostly in the Ragusa area, a favourite haunt for many aficionados of the series and simply for those curious to retrace Montalbano’s steps. Punta Secca is a small outlying hamlet of the town of Santa Croce Camerina, not far from Ragusa. It is a little fishing village, thinly inhabited in winter and buzzing in summer as the holiday-home owners return. But there is everything you need all year round here, as one of the supermarkets is always open, along with the tobacconist (for bus tickets and other essentials) and the 3 bars – one faces the house; another is in the piazza by the small harbour right where the splendid lighthouse from 1853 rises atop a 35-metre white circular tower, still in full working order; and the other stands by the sea, with an excellent fish restaurant next door. You can just picture Montalbano relishing a leisurely lunch. In winter, the piazza is a delightful spot for getting a taste of the typical laid-back life in a coastal village – even for just a few days. Here, the handful of residents gathers to play cards over a drink or two, to share the gossip, and especially to gaze out to sea and second-guess the weather. In summer, the same scene transforms into a theatre of entertainment and festivities of all kinds. The beaches are free to access, and you can plant your umbrella where you please, because this is one of the few seaside beauty spots where the sands are still public. One of these beaches, right opposite the lighthouse and the bijou harbour, offers five-a-side-football, beach-volleyball and basketball facilities. The free beaches are perfect places for long, leisurely strolls by the water and – for more sporty types – a spot of jogging, gulping lungfuls of pure early-morning air, or simply enjoying the exquisite colours that the sunset bestows every day.